Taking your CBT Test in Tottenham is the first step to getting out onto the UK’s roads on two wheels, and we’re here to make the process of booking your CBT and getting out on the road as quick and as painless as possible. Here at RideTo we have a number of CBT test centres in and around Tottenham. Stadium Rider Training are based in the IKEA Tottenham car park, and have one of the largest off-road training areas in the whole of London, with plenty of local amenities close by. 1 Stop Instruction are also based in Tottenham and boast a large fleet of motorcycles and scooters for you to use during your CBT. A2Z Motorcycle Training is a family-run school based at the New River Sports Leisure Centre on White Hart Lane. The team at A2Z have over 30 years experience teaching new riders and are comfortable with all levels of riders. The CBT (Compulsory Basic Training) is comprised of three separate parts, and takes one day to complete. Before you book your CBT, you’ll need to be at least 16-years-old and hold a valid UK provisional licence. Your day will start in the classroom, where you will be introduced to your instructor for the day. In the classroom they will teach you basic highway code, and they’ll explain how to handle a scooter or motorcycle. For those of you who are completely new to motorcycles, they will also run you through the protective equipment you will be using for the day. You will also need to take a quick eye test. If you are going to be using glasses or contact lenses while you are riding, take the test while using those. Once you’ve learnt the basics, it will be time to head outside and put that into practice. The instructor will introduce you to your machine for the day, before showing you the off-road training area. Here, you will learn how to push your bike around, and get it off and on the stand, as well as how to handle your bike at slow speeds. You will have a number of set routes to ride and manoeuvres to perform - all at your own pace. Once your instructor is happy that you can safely and confidently handle your machine, it’s time to head out onto the road. For the road riding portion of the day, you and another student will head out with the instructor for a minimum of two hours. You will take it in turns to lead the ride - don’t worry, the instructor will be able to communicate with you via radio - so you can both be assessed equally. Once you arrive back at the test centre, you’ll be handed your CBT pass certificate, and will be free to enjoy the open road (except the motorways), with your L-plates. 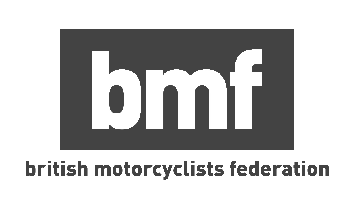 Remember your CBT only lasts for two years, if you want to continue riding after those two years, you will have to retake your CBT, or take your full motorcycle test.